If you choose WordPress as the CMS to showcase your photography, or if you’re just a hobbyist wishing to easily share photos with family and friends, you have several choices amongst free WordPress photoblog themes. I’ve sifted through dozens of them, and selected four of the very best here for you. 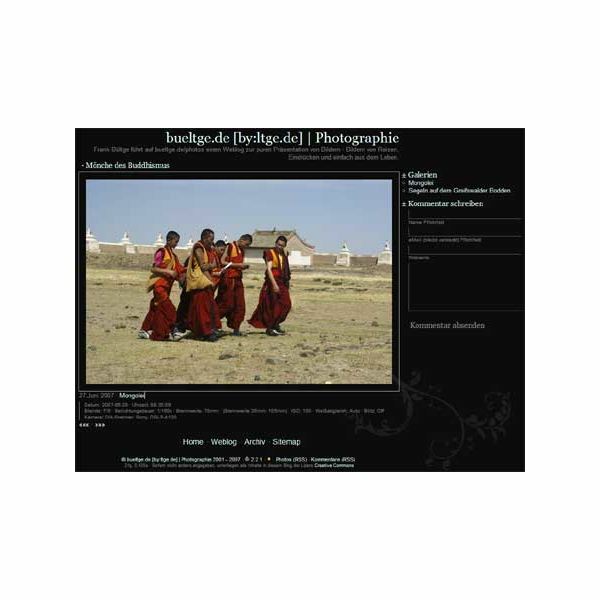 – Does the theme showcase the photos? – Is the typography unobtrusive? 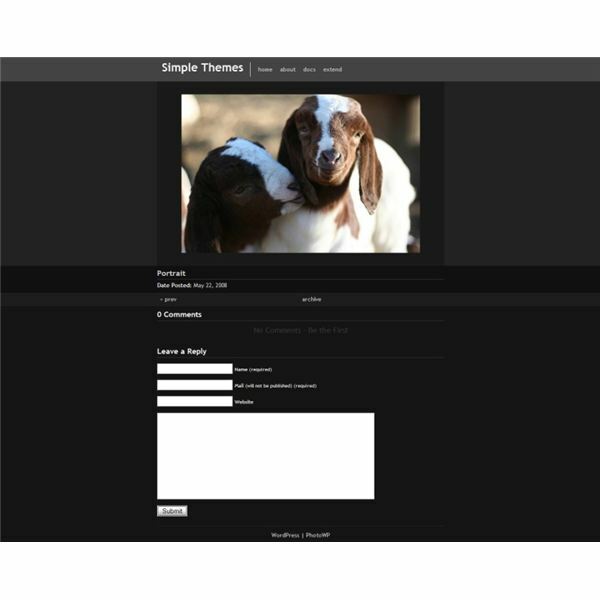 – Is the theme easy to use? Grain is a clean, attractive, "classic" fixed-width photoblog theme for WordPress. It showcases one photo per page, with accompanying text, and that’s it. Its grey border on black background does help the photos stand out and speak for themselves, but I find the diagonal scan line effect in the wide border distracting. Grain is still very worth taking a look — I wouldn’t put a blog theme in here unless I found it to be stunning in spite of any minor flaws. Grain requires the Yapb (Yet Another PhotoBlog) plugin and runs on WordPress 2.3 and higher. Live demo can be found here. PhotoWP is a very simple theme with a gray background and few distractions. It stands out under the hood, offering code that validates and an easy posting structure. The title of your photo (also known as the post title) appears below both the photo AND the photo’s description, so if you tend to ramble on when describing your photos, your photo’s main caption may be hard for readers to locate. Do you like Flickr? 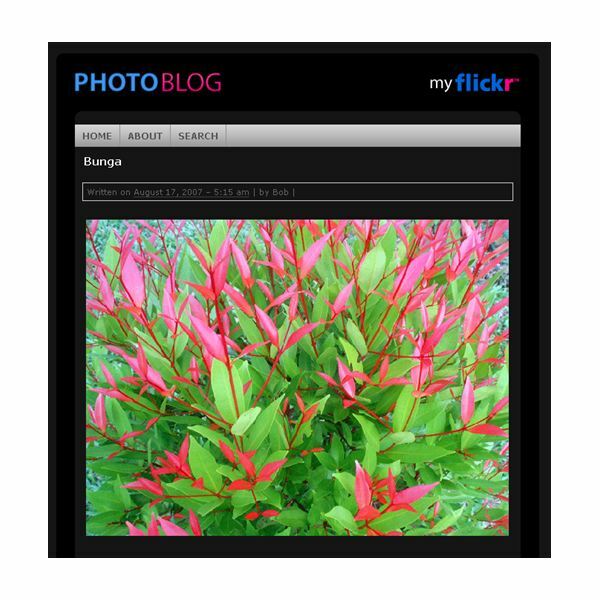 Photo Blog is a photoblog theme that mimics the look of Flickr. It offers a bit more styling — unobtrusive boxes, a few different text colors — than the other blogs I’m featuring, yet the theme still allows the photos to stand out. Photo Blog is also different in that it *isn’t* one photo per page with "previous" and "next" buttons. Instead, your photos are showcased in standard blog style, with the most recent ones at the top and older ones scrolling down the page. If you enjoy one photo per page, it’s easy to configure WordPress to show only one post per page if you really enjoy the look of the theme. PhotoBlog is optimized for WordPress 2.3 and higher, and can automatically retrieve photos’ EXIF data for your posts.